The ARCE Department holds its own support facilities to enhance "learn-by-doing" experience for our engineering students. 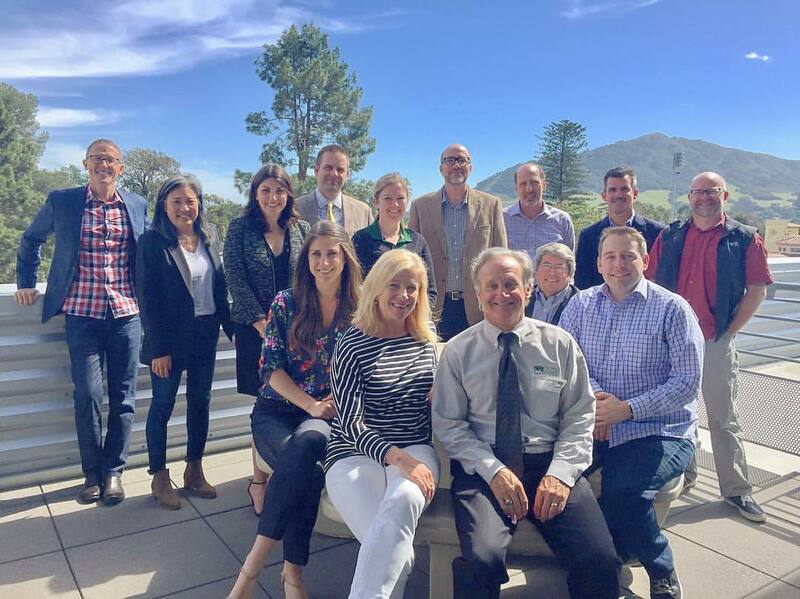 The ARCE students are also encouraged to use facilities made available through CAED throughout Cal Poly learning experience. CAED support facilities are listed right below the ARCE support facilities. 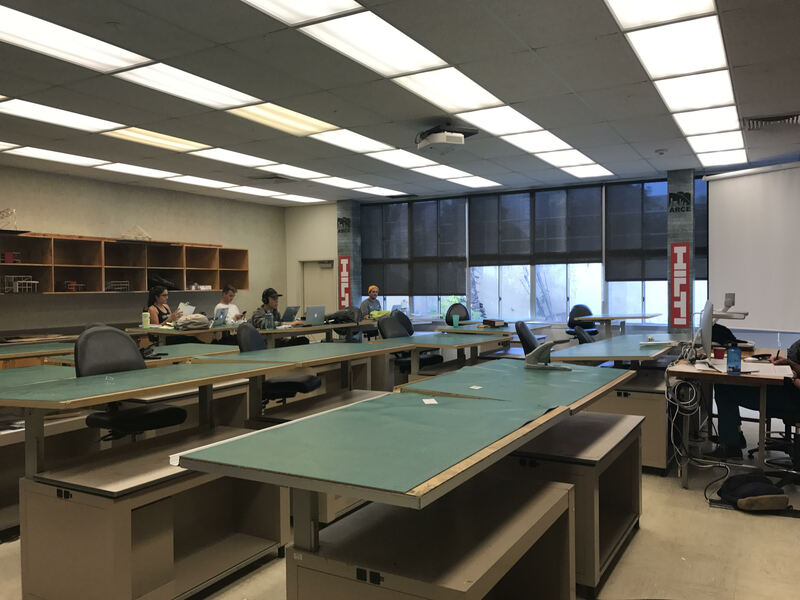 **Printers: ARCE Department has its own large-format plotters as well as copy machines accessible only for ARCE students. But the students can also utilize Poly Prints located in the Kennedy Library for other types of printing/binding/paper. Click HERE for Poly Prints Web Page. This is one of the classroom spaces in the Architectural Engineering hallway. 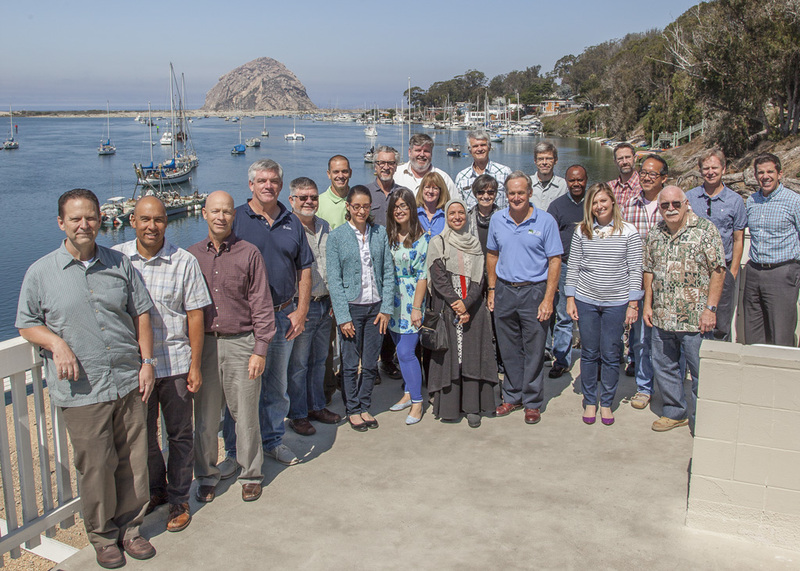 This lab is used for teaching, SEAOC meetings, and conference purposes. 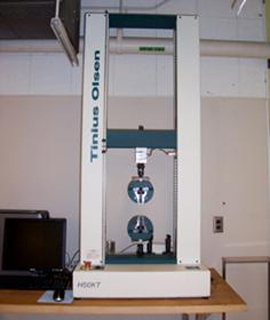 There are currently four materials designs laboratories dedicated to the ARCE program. 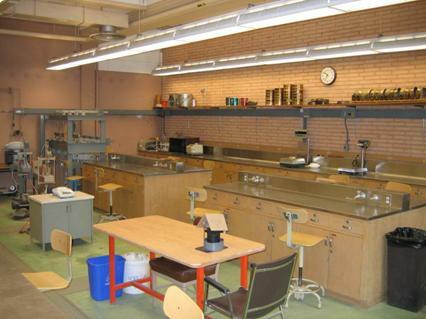 These four labs are the core teaching rooms for the program and are industry sponsored. Each is set up with large drafting style tables with storage below. 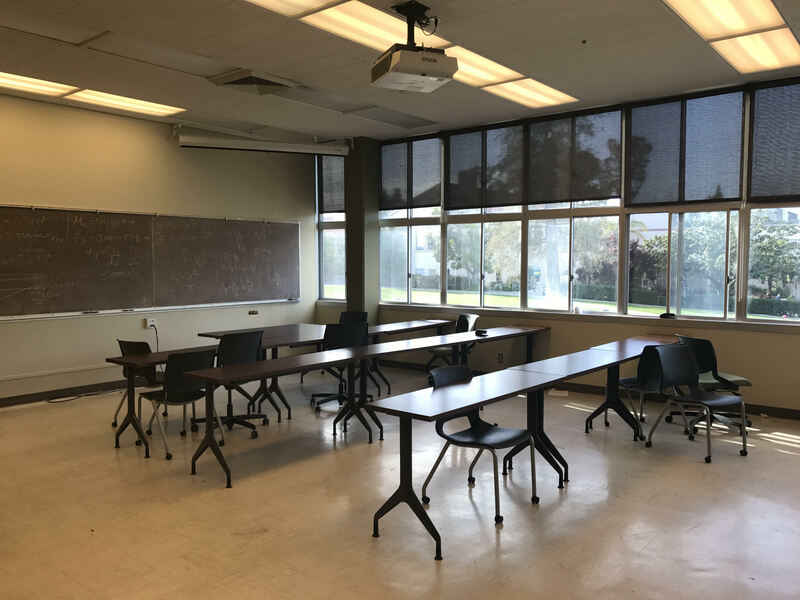 The rooms contain at least 16 such tables (some contain as many as 18), large chalkboard space, overhead projector, slide projector, wireless access, extra lockers and shelves, and kitchenette. 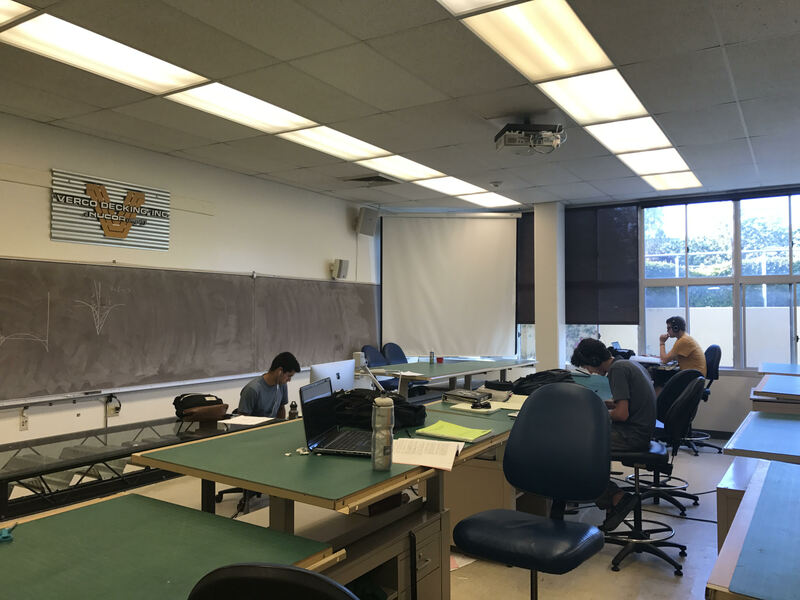 These labs are used for the program’s design laboratory classes, which generally meet three times per week for three hours each meeting. The favorable student/faculty ratio allows for one-on-one faculty to student contact that is needed for the success of the program. 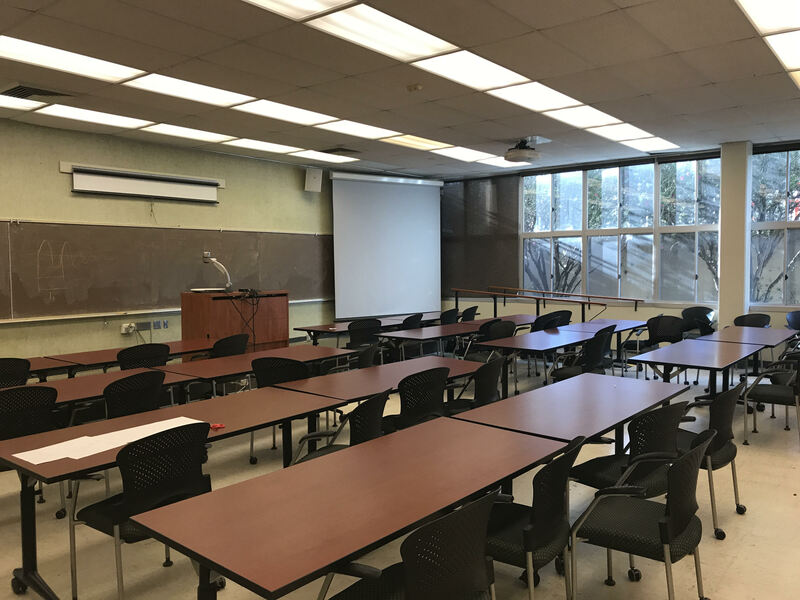 The department has one computer teaching facility (Room 122C) that is set up for 16 students and an instructor for the purpose of teaching the four computer skills courses in the program. 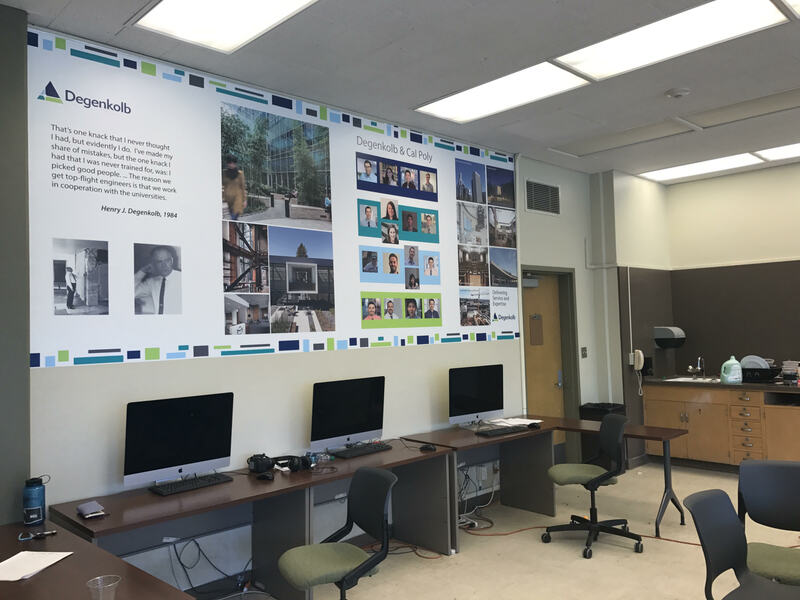 The facility was designed and built, including tables, by program students as a senior project to meet their specific needs. 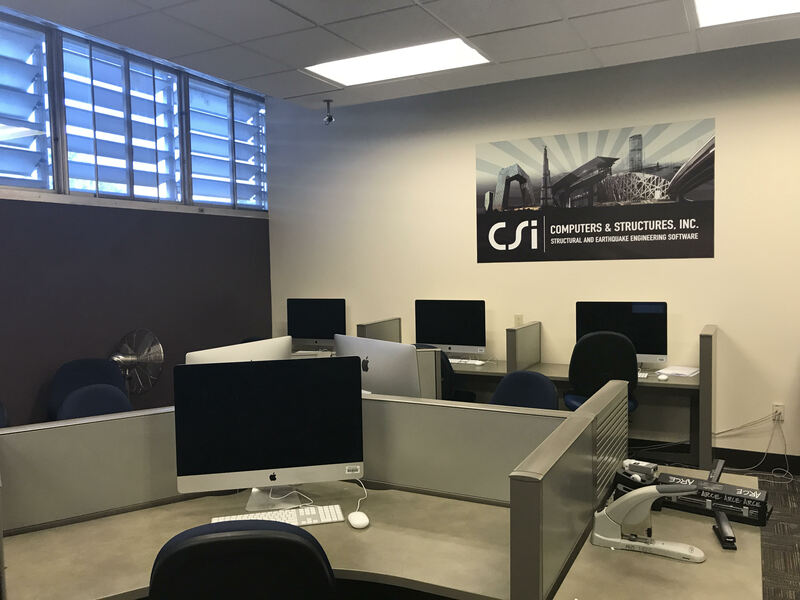 The program also maintains and operates an additional computer lab (CSI Lab) available primarily to upper division students for advanced studies and interdisciplinary work with construction management students. 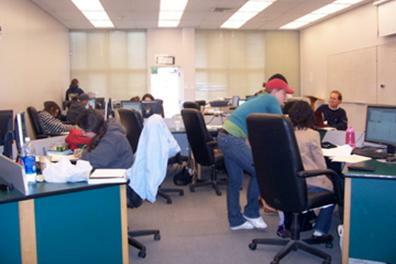 In addition, the teaching labs all have several computers on the side walls that are available to students. 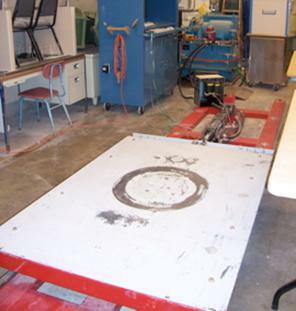 The seismic lab contains a classroom space for 16 students and houses a large instructional shake table. 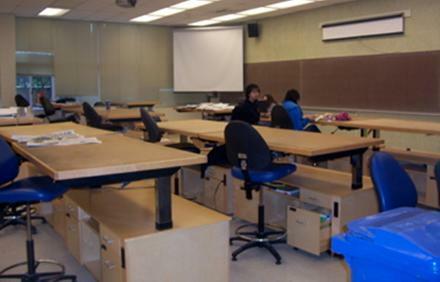 The experimental lab contains a classroom space for 30 students and 5 workstations. The workstations are set up primarily with small-scale test machines and, in the future, will be wired for full "smart-room" capability. 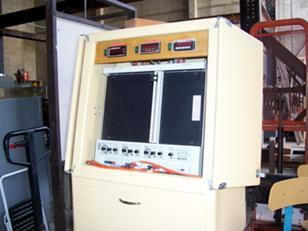 Also in this facility is a small shake table and several testing machines including two new electromechanical testing machines. The High Bay lab is the main experimental facility. The space has classroom space for 16 students, a tension/compression machine and a strong floor area with a jacking frame for research work. 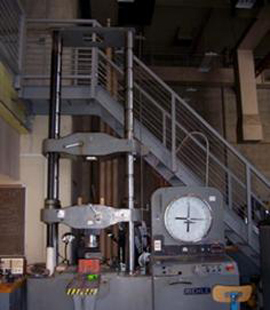 The high bay area serves as the construction and testing facility for a majority of the experimentally focused senior projects. 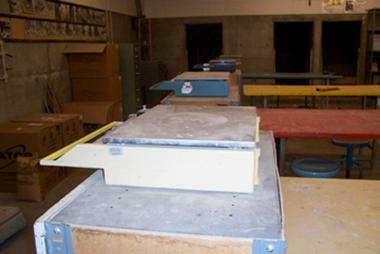 Plans for this area include the addition of a strong wall and electronic support for cyclic testing and data recovery. The concrete yard is an experimental assembly and project use area. The concrete lab is shared with the construction management department. 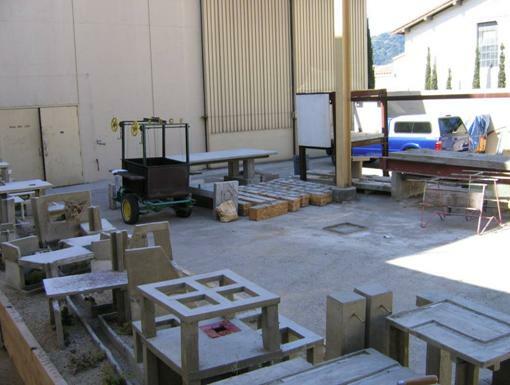 This lab is supplied with all the tools needed to mix and place concrete. 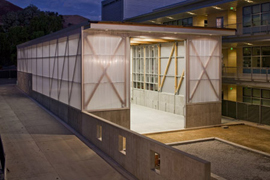 The primary use for this facility is ARCE 444 and ARCE 452 and senior projects. 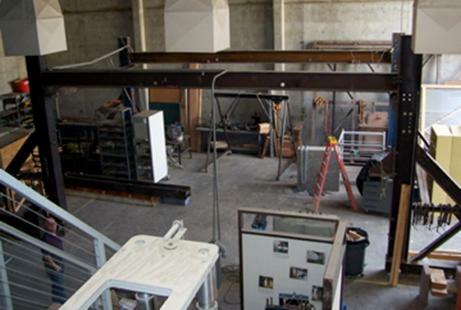 The program maintains and operates three experimental labs and shares a fourth with construction management. The CAED supports the following facilities as resources for all students in the college. The basic contact, location and schedule information is provided below as a quick reference. Additional information can be found by using the links below to go to the facility page within the CAED web site.